Needing an escape from the blustery cold of our South Dakota winter in 2003, my wife and I, along with our oldest daughter, took our first trip to the breathtaking emerald waters and sugar sand beaches of Destin, Fl. We immediately fell in love with the family friendly yet fun area and hoped to be back someday. After 6 years, and an addition of a few more kids, we have been blessed to visit the Destin area multiple times each year since 2010. Leaving each time with precious memories of our 5 kids paddle boarding, playing in the sand, or watching the sea life, and hoping one day to own a property there. 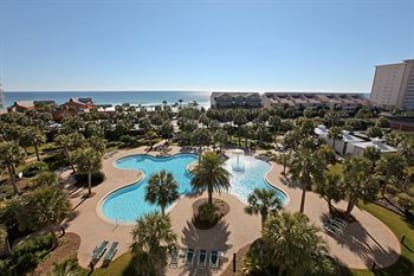 Ivory Cove Rentals, unit #1607 in the Palms of Destin, is our dream come true. With it’s stunning views of both the Gulf of Mexico and the large lagoon pool, and being within minutes of the beach, shopping, restaurants and so much more, it really is a great place to stay.